Tom Zidel is the president of Lean Hospitals, LLC, a consulting company, which provides consulting, facilitation and training exclusively to healthcare organizations. With more than 25 years experience in Lean and Six Sigma implementation, Tom has guided many organizations through their Lean journey. He has dedicated the last 15 years to working exclusively with healthcare organizations. He is the author of the bestselling book A Lean Guide to Transforming Healthcare: How to Implement Lean Principles in Hospitals, Medical Offices, Clinics and Other Healthcare Organizations. Tom has earned the prestigious Shingo Research and Professional Publication Award for his book Lean Done Right: Achieve and Maintain Reform in Your Healthcare Organization, which was also a 2012 Axiom Business Book Awards Silver medal winner, in the category of operations management. Tom has trained/or mentored hundreds of healthcare professionals from many of our nation's leading hospitals, including Yale New-Haven Health System, Johns Hopkins Hospital and Aurora Health Care, in the use of Lean and DMAIC methods. Tom Zidel is a pioneer in Lean implementation in healthcare. His presentations and workshops are stimulating, energetic and functional. His unique approach to Lean implementation allows organizations to sustain their lean initiative by creatiing a Lean culture and systems thinking. "With this book, Tom Zidel expertly outlines the necessary elements and proper execution of process improvement in the form of a fast-paced business novel. Set in a hospital, we follow a senior management team overcoming organizational skepticism and resistance as it moves to rapidly implement a series of improvement initiatives as the core of its financial turnaround plan. Tom brilliantly incorporates descriptions of Lean principles and tools and the historical context of process improvement into this engaging book while demonstrating the power of Lean to dramatically improve patient satisfaction, clinical outcomes and business results." 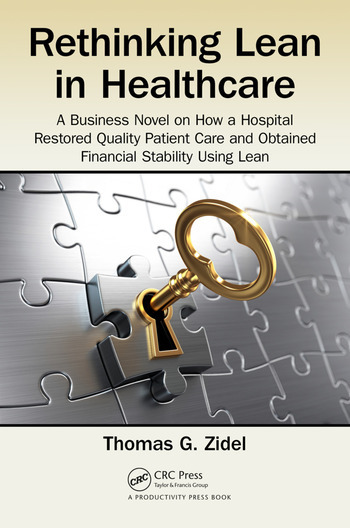 "In this, his third book, Tom has chosen to use a narrative style that pulls the reader along through the experiences of a mythical, failing hospital and the efforts of the CEO to restore its health through the adoption of the Lean methodology. There is no mythology, however, about the situation he presents. They are all very real and will resonate with almost anyone who has ever worked in a hospital. Tom’s choice of a narrative style is brilliant. He avoids long discussions of foreign terminology and esoteric principles to hone right in on what really happens in hospitals. This is a book for anyone who is interested in how things get done in complex organizations and how they can get done much better." "I just finished Tom Zidel’s Book and I can say I loved the format. The story format captured my attention and drew me into Nick’s journey to improve his facilities quality and turn around its performance. I loved the dramatic flair of the storyline because it added a focus I could personally identify with. 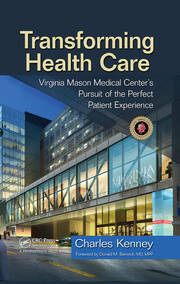 Tom (the author) has outdone himself, this book should be required reading in Healthcare Administration degree programs!" 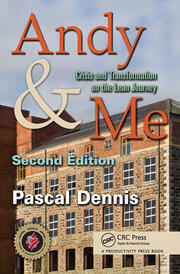 "Is your bookshelf filled with Lean ‘How To’ books that start with ‘Step 1 – Obtain Leadership Support’? Have you struggled with this first step? This book will complement your efforts to get your leadership on board. It’s an easy to read narrative format that leadership will easily fit into their busy schedules. I found it as engaging as ‘The Goal’ and it excels at weaving improvement concepts into a story."